As horse lovers ourselves we also strive to offer Correctional Snaffle Bits made of exceptional quality which are made to last. 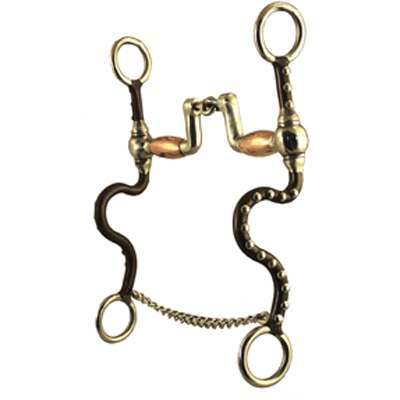 This Robart 3 Piece Correctional Snaffle Bit is a great bit for the young horse between a correctional bit and a snaffle. This Robart Correctional Snaffle Bit helps to control hip and shoulder. The line also uses pressure instead of pain to train making it more convenient to the horse. As horse enthusiasts ourselves our number one priority is to offer our customers Correctional Snaffle Bits which we believe are made to last and available at affordable prices.